A lowdown on what's going on in Hollywood. The Big Bang Theory star Kaley Cuoco has filed for divorce from her husband, tennis player Ryan Sweeting after 21 months of marriage. The 29-year-old actress filed for divorce on September 25 in a Los Angeles Superior Court, citing irreconcilable differences as the reason for the split, reports E! Online. The court documents lists September 3 as the date of separation of the couple and has revealed that a prenuptial agreement was signed between the two on November 20, 2013. Cuoco and the tennis player, who will divide their assets after divorce, tied the knot on December 31, 2013. 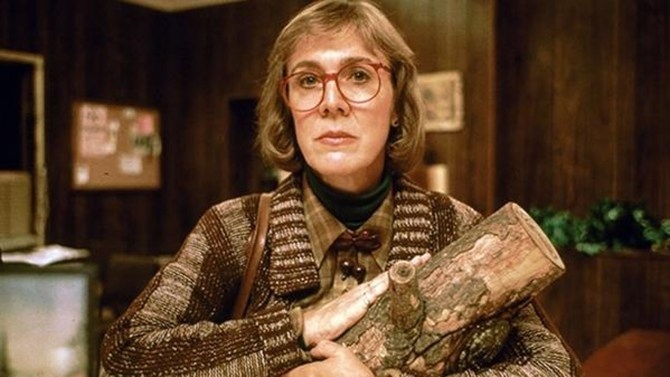 Actress Catherine E Coulson, who played the Log Lady on David Lynch's hit TV show Twin Peaks, has died at the age of 71. Coulson was set to return to the new Showtime revival of of the show, reported Variety. "Today I lost one of my dearest friends, Catherine Coulson. Catherine was solid gold. She was always there for her friends -- she was filled with love for all people -- for her family -- for her work. She was a tireless worker. She had a great sense of humor -- she loved to laugh and make people laugh. "She was a spiritual person -- a longtime TM meditator. She was the Log Lady," Lynch said in a statement. Coulson worked with Lynch as assistant director on his 1977 debut feature Eraserhead where they first started discussing the idea of a woman who carried around a log. She appeared in Lynch's 1974 short film The Amputee as a woman with both legs amputated. Coulson also worked as first or second assistant camera on Star Trek II: The Wrath of Khan, Modern Romance, Youngblood and Night on Earth. Coulson was married to Eraserhead and Twin Peaks star Jack Nance. She later married Marc Sirinsky, with whom she had a daughter.